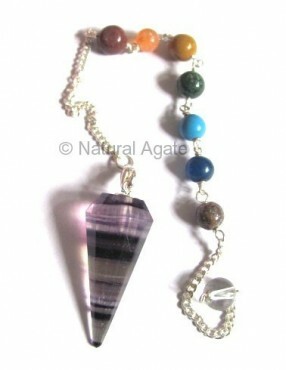 Multi flourite chakra Pendulum is fine-looking pendulum that you can hang anywhere as a decorative item. It will keep your body, aura, chakras and surroundings positive and clean. You can get it from Natural Agate at a fair price.